The Osprey, a federally protected raptor, recently began to nest in increasing numbers at the south end of Mare Island and other North Bay sites, for the first time in 150 years. No one is certain why so many raptors began nesting in the region and suspect they’d been driven to leave their former nesting grounds further north in the lakes region. Suspected causes could be changes in water quality or abundance of fish, due to drought. Water clarity has vastly increased in the Napa River / Carquinez Strait confluence, making it easier for the birds to spot prey. Another reason might be the recent appearance of bald eagles––one of the few enemies of the osprey––in the lakes region. Prior to 2013, Photographers had been taking photos of a very active osprey nest at the Sperry Mills site and had documented the hatching and rearing of numerous chicks up to the time that Vallejo Marine Terminal (VMT) purchased the property. In 2013-2014, shortly after VMT bought the property (and immediately prior to beginning plant and wildlife surveys that are required by an Environmental Impact Report), an osprey nest in which observers had watched three chicks being reared that season disappeared without a trace from the top of a silo that was also removed from the Sperry Mills site. Contractors, working on Mare Island, reported that brush and vegetation was cleared from the site as well as the silo with the osprey nest. However, the DEIR does note the presence of an active nest just across the channel at Mare Island. 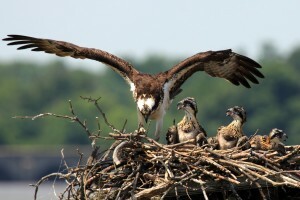 And that ospreys were observed flying overhead, leading to questions about the status and timing of the nest’s removal. It is uncertain if the nest At Sperry Mills was still active at the time that it was removed. It is unknown if a permit was issued to VMT/Orcem to take the nest by the US Fish and Wildlife Service, as required by law. 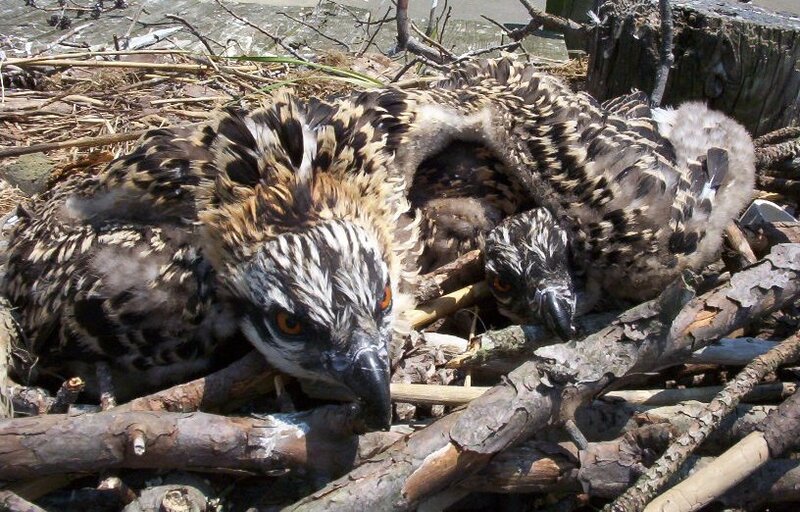 It could be that VMT was unaware that the Migratory Bird Act––one of the oldest international treaty laws on the books that protect migratory birds––requires following a certain protocol in dealing with osprey, their eggs, nests, chicks, or feathers. Whether or not VMT was in violation of the Migratory Bird Act would have to be determined by authorities. CA Dept. of Fish & Wildlife has been notified and an investigation has been requested. Meanwhile, there is growing concern about another nest that was built during the 2014-15 nesting season––perhaps by the same pair that built the nest that vanished. Osprey are extremely loyal to their nest, once established. There is a mitigation measure listed in the DEIR. We and the agencies are keeping watch. 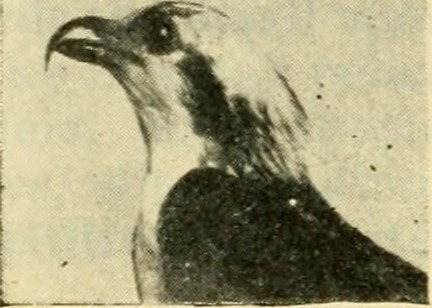 A good neighbor and responsible steward of the ecosystem would act in accordance with well-established laws to protect the ecology of the osprey. So far, VMT has not demonstrated that kind of stewardship. California Department of Fish and Wildlife appreciates our help to protect the osprey nesting at the Old Sperry Mill site. If a disturbance of the nest of any kind is observed please call CalTIP hotline: 888-334-2258 (888-334-CalTIP) or text: TIP411 any time, day or night to report an osprey nest disturbance at 800 Derr Ave.
Napa County is at the forefront of a herculean effort to restore the Napa River, including the historic tidal marshes into a geomorphically stable, living estuarine system. Levees have been breached, old salt ponds are transitioning to tidal marshes and the restored tidal prism has greatly reduced the flood threat in the Napa Valley. But all that good work stops at the Napa County line. On the other side of the county line, a shadow government has been working in secret to bring back polluting, heavy industry by dredging the lower Napa River to accommodate huge transpacific freighters. Heavy industries along lower Napa river will not only sabotage Napa County’s efforts to restore the Napa River Estuary but potentially damage the vineyards in the Carneros Appellation. Air and water doesn’t pay attention to arbitrary distinctions like county lines. Heavy Industries on the lower Napa River doesn’t affect only Vallejo. The cement plant and port are just the beginning. If the U.S. Army Corps dredges for large transpacific freighters, more heavy industry spewing toxins into our common air and waters will be inevitable. One of the issues that Environmental Justice communities really focused on are the localized emissions. These are the things that are triggering asthma, that are triggering asthma mortality, that are happening at epidemic rates in Environmental Justice communities. Those issues are a dimension of greenhouse gas emissions, but they are not necessarily being talked about by the environmental community. That has got to change. A report compiled by the University of Stuttgart and commissioned by the Irish firm, Ecocem, which finds that cement causes massive environmental damage has prompted a furious backlash from the Cement Manufacturers of Ireland. The highly contentious report, which has not been made available to the wider public, finds that the manufacture of cement caused €2.1bn of environmental and health costs in the decade up to 2012. The impact on human health amounted to €450m over that period. “Although a large range of pollutants is emitted in cement manufacture, the main pollutants contributing to the negative impacts are carbon dioxide, nitrogen oxides, sulphur dioxides and particulate matter. “The impacts on human health include chronic respiratory disease, reduced lung functions or lung cancer, heart disease, and even damage to the brain, nerves, liver, or kidneys, all leading to reduced life expectancy in those affected,” claimed the report. All cement, whether slag cement or Portland cement, starts off as solid chunks of material which are then ground into a fine powder. But to say that slag cement is less polluting than Portland cement does not make it “green.” First, slag is full of heavy metals and chemicals from the steel smelting process. Second, the dust from storing and grinding cement is known to harm and even kill people, animals and plants. Third, the plan to ship slag and clinker halfway across the world requires dirty diesel-powered ships, both wasteful and polluting. TOXINS — Slag cement contain toxins from the steel smelting process such as hexavalent chromium, the toxin that poisoned Hinckley, CA. Of further concern for Vallejo residents, the slag that would be shipped to Vallejo would not go through any screening process, so it could contain any number of harmful heavy metals and chemicals, potentially even radioactive waste. Orcem plans to ship from China, which is notoriously lax in its industrial processes, and Japan, which has been found guilty of improperly disposing of Fukushima radioactive waste. Who is to say what would arrive in Vallejo? HARMFUL DUST — The dust from storing slag and Portland clinker, and from the cement grinding process is harmful to humans, animal and plant life. It should be noted that Orcem plans to mill Portland cement in addition to slag cement – a fact which they try to evade by saying they would only do so based on “market conditions.” Given that Stockton has a slag cement plant farther along in the process, chances are the local cement market is competitive. So, for all their claims to be interested in “green” cement, Orcem also wants to produce the dirty Portland cement it is supposed to replace. chances are the local cement market will be highly competitive. For all their claims to only manufacture “green” cement, Orcem can also produce standard Portland cement. Orcem’s cement is a wolf in green clothing. It’s not green.